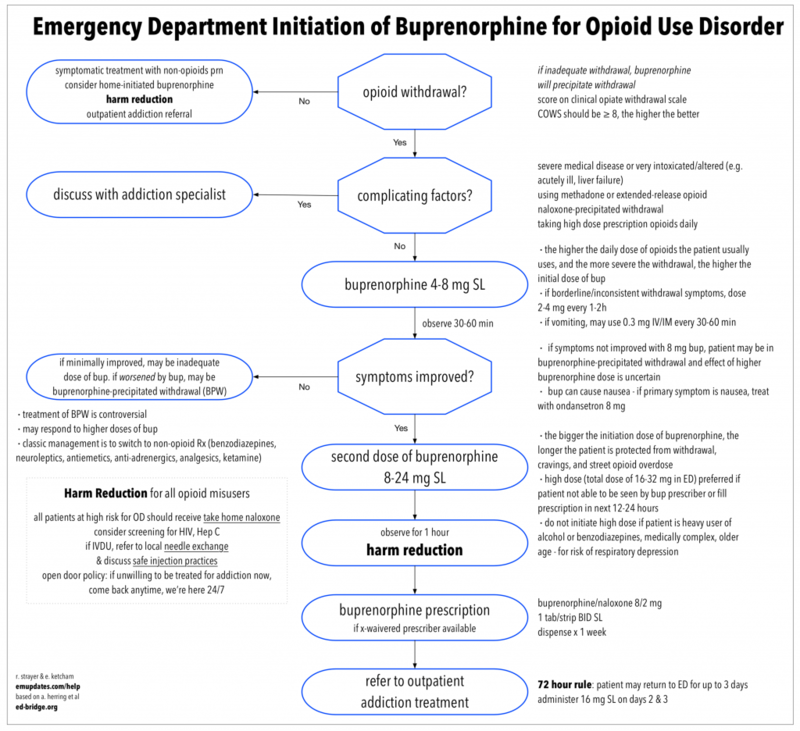 Sustained comprehensive addiction care is the goal, but until then, most OUD patients should get buprenorphine in the ED and/or a script. 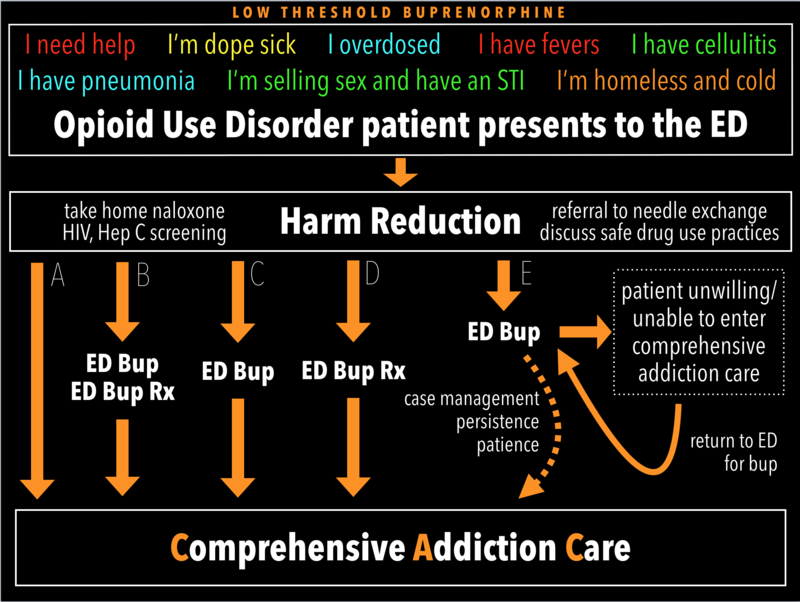 Every hour a street opioid user is therapeutic on bup is an hour they’re safe from withdrawal, cravings, and overdose, and is an hour they can contemplate recovery. 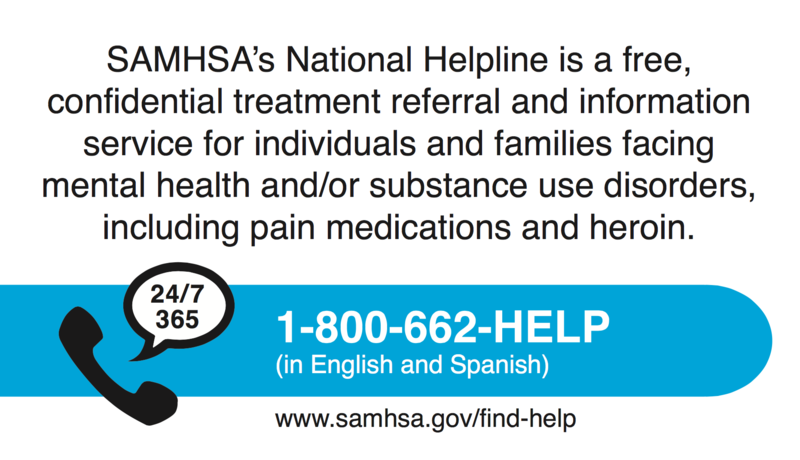 You are being discharged with a prescription for an opioid pain medication. Opioids are powerful analgesics that can be very effective for pain but also have the potential to harm you. 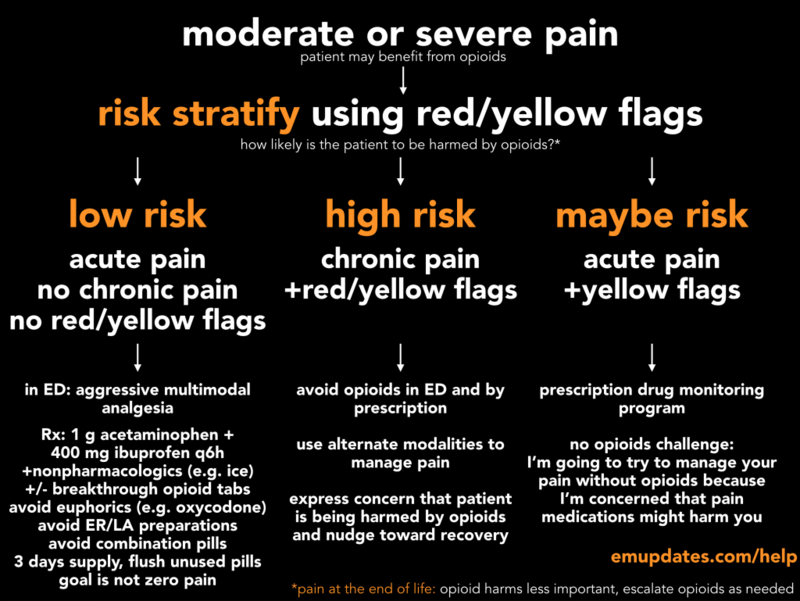 You should only take opioid pain medications if you are still suffering with pain after you’ve optimized non-medication strategies (rest, position of comfort, ice, heat, etc) and non-opioid medications such as acetaminophen (Tylenol) and ibuprofen (Motrin). Take opioid pain medications as prescribed; do not take more than prescribed or take the pills in a different way than prescribed. 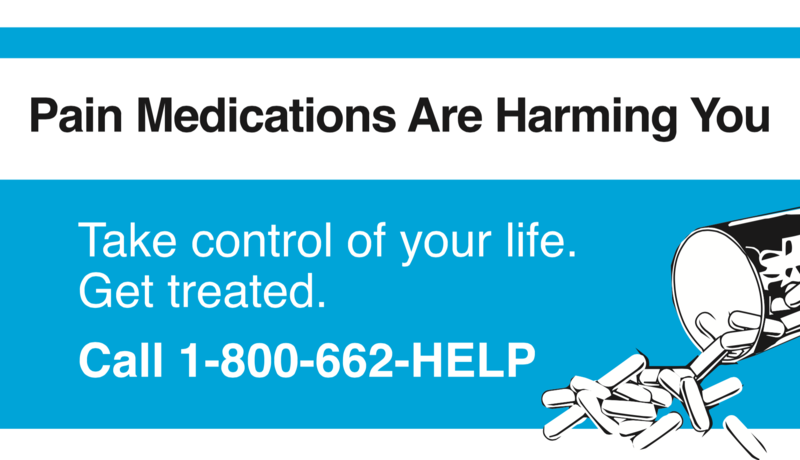 Opioids often cause constipation, nausea, and itching. 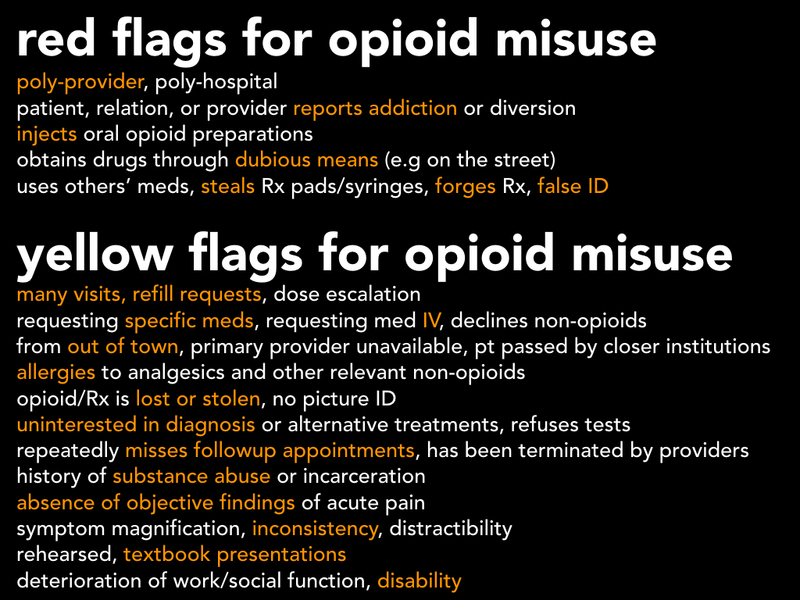 Opioids can also cause more dangerous problems such as feeling ill, excessive sleepiness, confusion, and falls. Older people and people with liver or kidney disease are more prone to these harms. 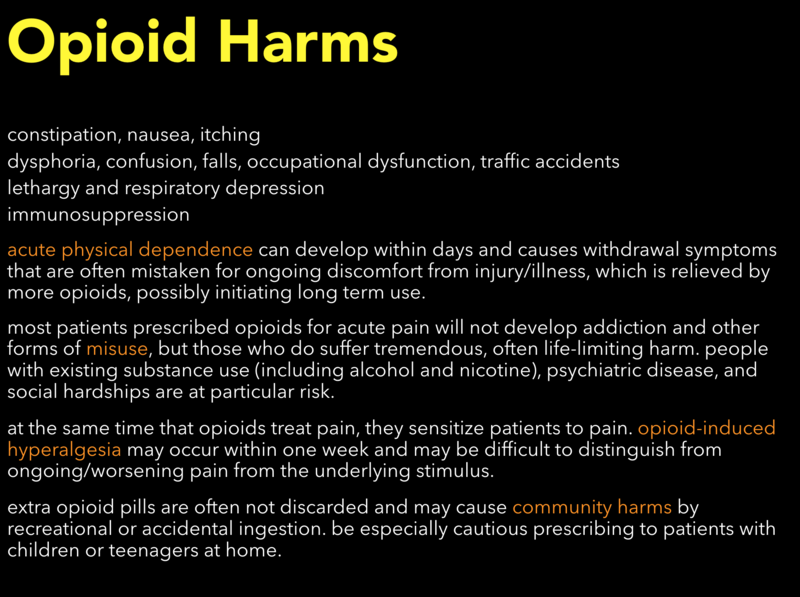 You should not drive or perform dangerous work while using opioid pain medications. If you take too much opioid pain medication, your breathing can slow or even stop, which can be fatal. 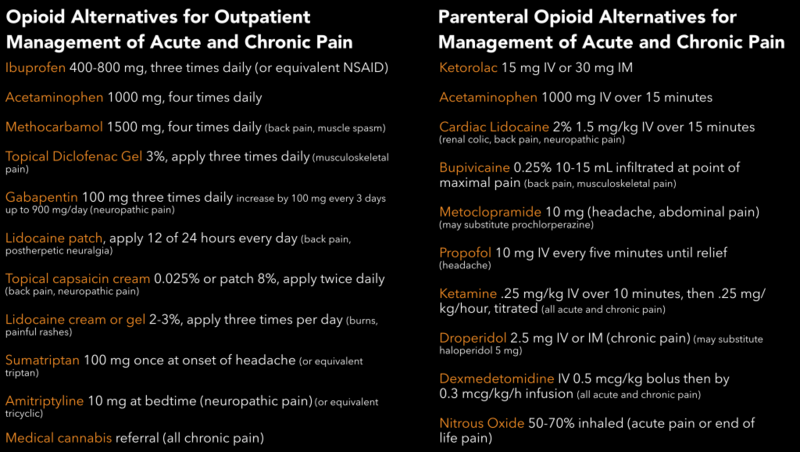 This is how people die from an opioid overdose. 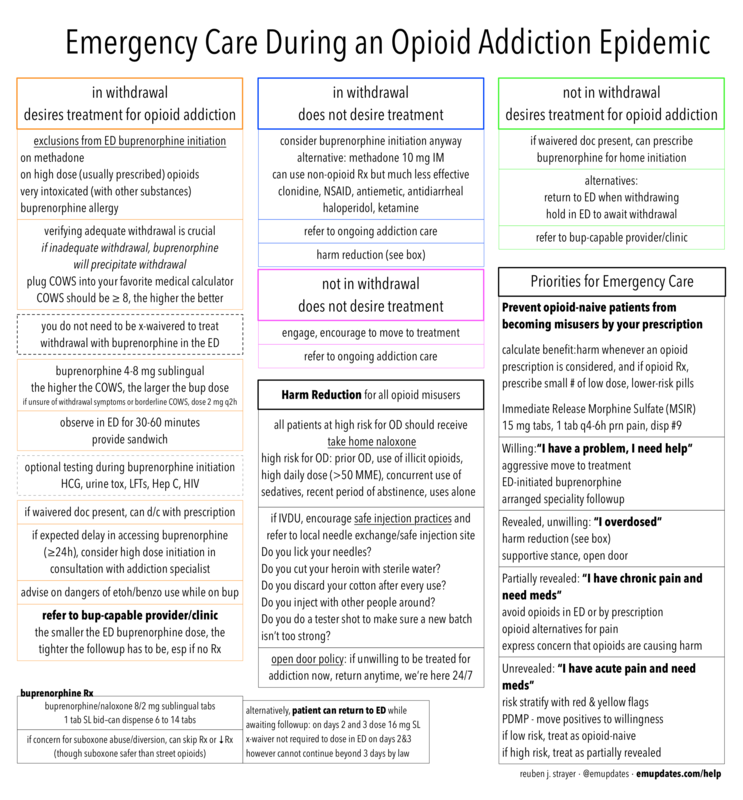 Opioids can cause acute physical dependence after only a few days, which means that if you take opioid pain medications for a few days and then stop, you might experience withdrawal symptoms such as muscle aches, pain, insomnia, feeling nauseated and ill, depressed, agitated, or anxious, and you might even crave more pills. 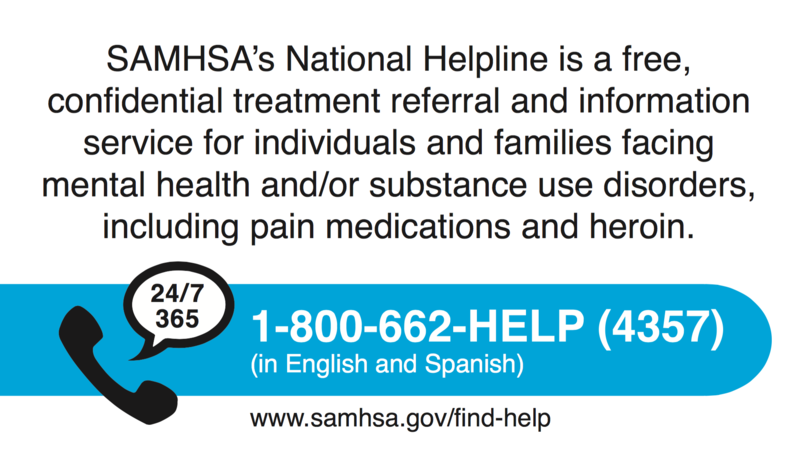 If you take more opioid pills, these symptoms will be greatly relieved, however this is the beginning of a very dangerous cycle of dependence, which can lead to addiction. If it is possible that you are experiencing acute physical dependence, do not take more opioid pills and discuss the problem with your doctor. Lastly, once this painful episode is over, dispose of any unused pills–you can take them back to the pharmacy or flush them down the toilet. 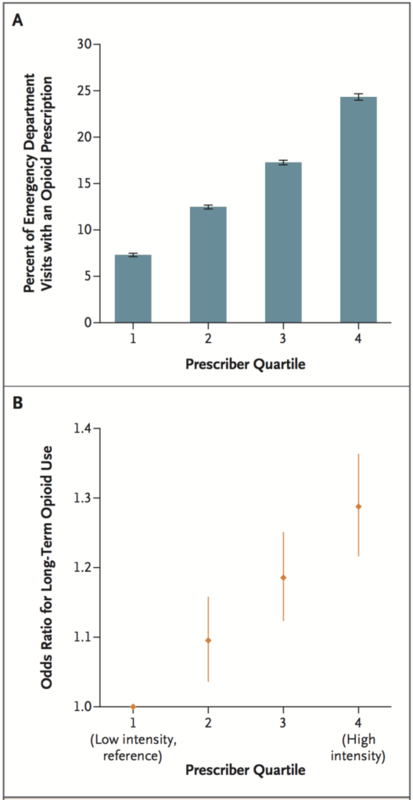 Leftover opioid pills can be extremely dangerous to children, and are a major source of recreational use, especially among adolescents and young adults. My job is to manage your pain at the same time that I manage the potential for some pain medications to harm you. 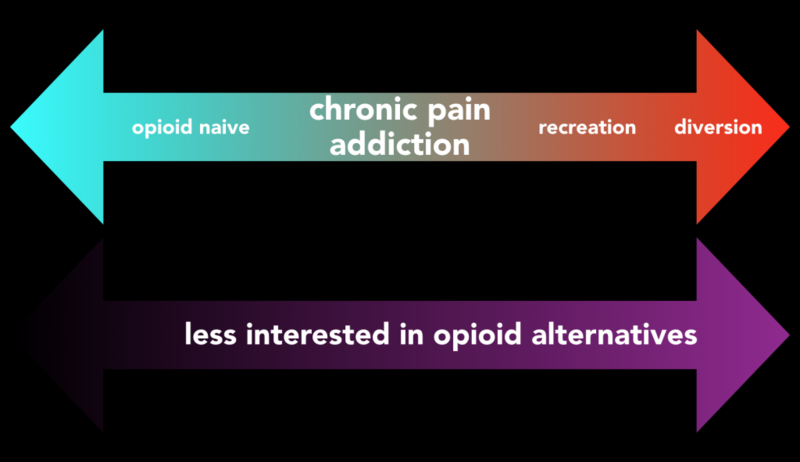 I know you are in pain and I want to improve your pain, but I believe that opioids are not only the wrong treatment for your pain, but that opioids are the cause of your pain. I think pain medications are harming you, and if you could stop taking them, your pain and your life would improve. Can I offer you resources that will help you stop taking pain medications? Prescription pain medications, even when used as directed, can cause patients to become dependent, and I’m concerned that the pills we prescribed for you in the past, even though you were using them appropriately, you may now be dependent on them. We can help you break free of that dependence. My most important job as an emergency doctor is to make sure there’s no emergency, so I would like to do some tests to make sure there’s nothing dangerous happening to you, and also I want to relieve your pain. But you will not receive any opioids while you are here, because I think opioids could be harmful to you. Here is your prescription. I am not entirely comfortable giving you this prescription because I am concerned that you are being harmed by these pain killers. When you decide that you want to stop using these drugs, and I hope you do, we can help you. Here is a list of resources available to help you stop. NIDA resource page – includes bup pathway, video, discharge instructions.